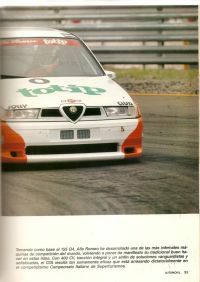 The Alfa Romeo 155 Race magazine article page. 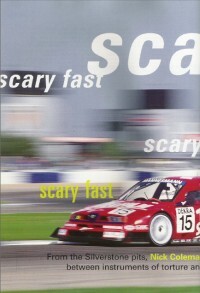 A preview of the 1995 Alfa Romeo 155 Ti-DTM racecar. Spanish language with an English translation. A review and test of the Alfa Romeo 155 GTA Italian touring car. Spanish language, with English translation. 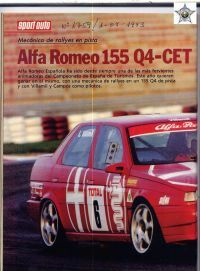 A review of the Alfa Romeo 155 Q4 racecar in Spanish. 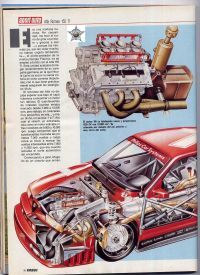 A technical article on the Alfa Romeo 155 Ti-DTM racecar, in Spanish. 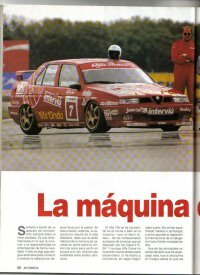 A review and comparison of the Alfa Romeo 155 D2 racecar in Spanish. 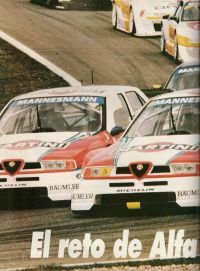 A second short feature on the Alfa Romeo 155 V6 ti. A short comparison between the Mercedes, Alfa and Opel DTM cars.